The past month's heavy snow has caused trouble for many Minnesota dairy farmers. 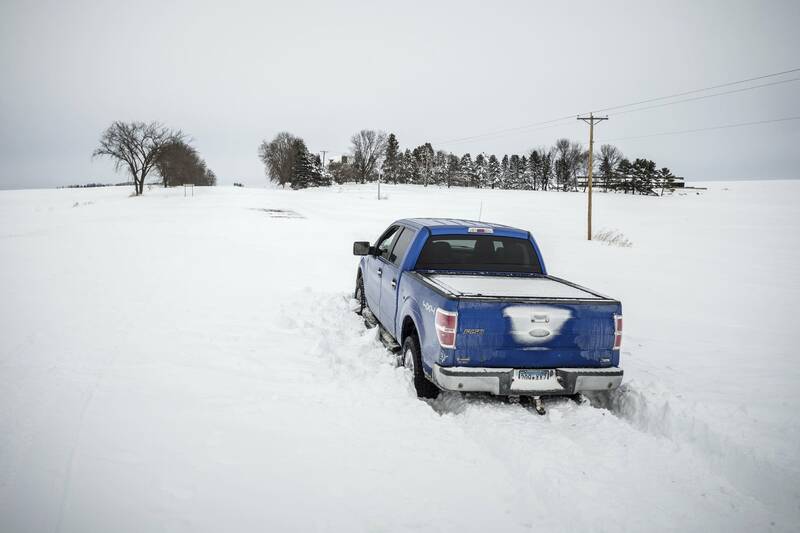 Lucas Sjostrom, executive director of the Minnesota Milk Producers Association, said some tanker trucks haven't been able get down snow-choked rural roads to pick up milk. "There are tons and tons of dairies around the state that had to dump milk in recent days," he said. "I know it's in the hundreds. It may be over 1,000 dairies." Sjostrom also said roofs caved in on at least 20 Minnesota dairy barns — in some cases killing and injuring cows. He said a roof failure was the final straw for a fifth-generation Olmsted County farm family, who sold their herd after years of low milk prices. "That's the biggest thing on farms, keeping things the same," Sjostrom said. "And of course a roof caving in is not the same and may keep cows away from feed or may keep cows away from being milked. That can really disrupt their day and make them sick." The snowiest February on record left the Twin Cities with 39 inches of snow. More than 27 inches fell in St. Cloud, with 40 inches in Rochester — more than 30 inches above normal. A blizzard last weekend also brought wind gusts in excess of 50 mph. The snow also has wreaked havoc on some non-agricultural buildings. The middle school in Byron, near Rochester, was closed Friday after classes were dismissed early on Thursday due to concerns about heavy snow causing structural problems. District officials reported the roof was "visibly sagging" on Thursday. Engineers were on-site Friday to evaluate the building's roof and utility systems. And the post office in nearby Claremont was closed Wednesday because of structural problems caused by heavy snow, the U.S. Postal Service reported.